It was somewhat difficult to capture these giant machines as they were moving and munching away at the elevated concrete structure. 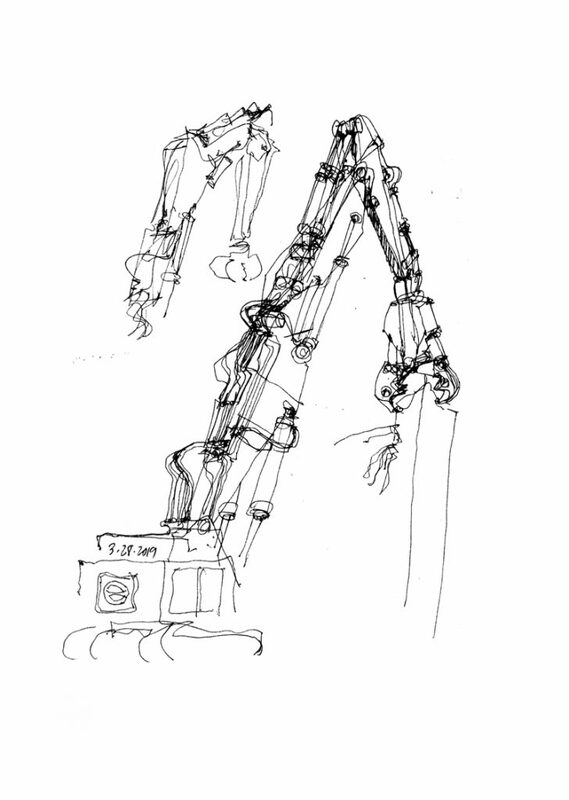 What I should have been more careful of was establishing the position of the machines’ armatures in such a way that it was clear what was machine and what was concrete structure. The way the forms overlap in the above view makes this distinction a little too ambiguous. 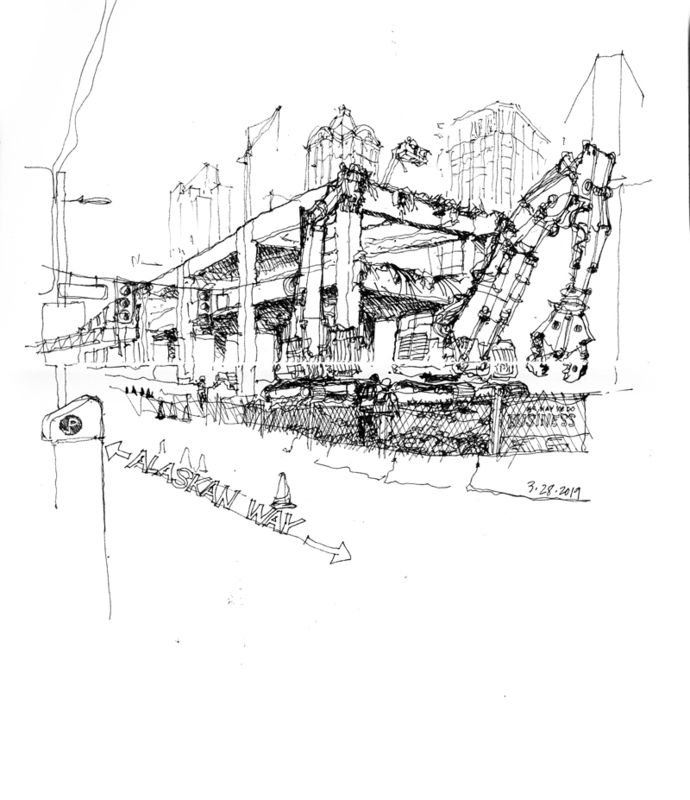 This entry was posted in Drawing, Seeing, Urban Sketchers, Visual Thinking by FC_admin. Bookmark the permalink.